As if Victorian production car and Australian sports sedan championships weren’t enough? Centreline ventured of into V8 supercars teamed up With Dexion Racing and HPM Lighting Racing to really show there potential, the small team and budget instantly made fans turn a blind eye to the team. After many late nights working away in the small Thomastown building the team made the trip to Adelaide race way Clipsal 300, after the first race weekend Centreline proved there potential securing a 6th outright finish for the weekend in the ground up built AU falcon they had entered. 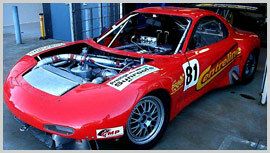 After many more years of Competing in the series with at least a top 10 finish each round Centreline made a all out effort reaching an outright round win at Bathurst in 2007 against top teams sporting million dollar budgets and race vehicle preparation shops. So if it was experience you were after, You know the men to see.